Lease to Own St. Lewis needed a website with a search function and a map that would help customers find the home they were looking for and get directions from where ever they were. We used a plugin with special map features. Geolocation can be turned on or off. The map app includes custom color themes so it matches well with the website. 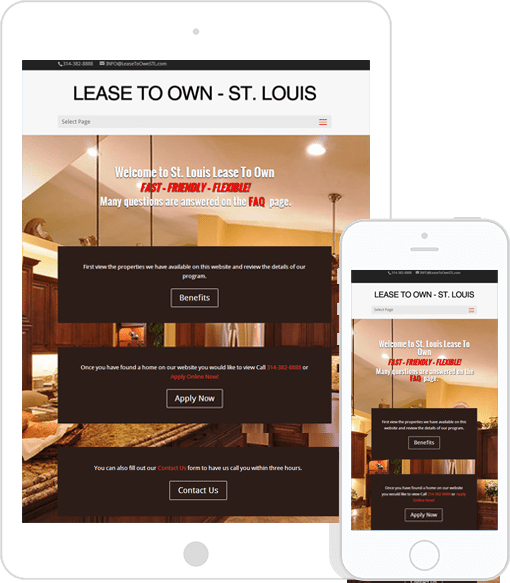 With so many using mobile devices for everything these days, it is important Lease To Own St. Louis Customers to find the home they want to see while actually out house hunting. The website owner can assist his customers by turning geolocation on and off from his mobile device.